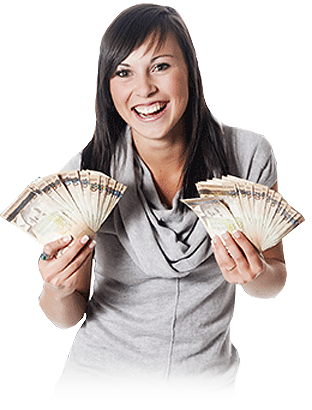 Gold Calgary - Sell Gold in Calgary for the BEST price! We Pay Higher Prices Than Other Gold Buyers! Gold Calgary is a division of Gold Vancouver®, Our buyer's have over 40 years experience, and are professional appraisers. We have dealt with literally tens of thousands of customers in Vancouver alone since 1972. Over the past few years we have witnessed an abundance, of "Gold Buyers" setting up shop, and paying ridiculous, low buying prices to the public. Companies offer all kinds of " bonus coupons", "gold parties", "gold mail in kits", and funny guarantees to entice customers to sell their gold for as little as 40% of it's real value. There was a major void in this marketplace. A company was needed that paid the Highest Prices in Canada for precious metals. A company that posted all their metal prices daily, quoting the Highest actual buy prices, with no hidden fees at all. We specialize in buying Gold, Silver, Platinum & Palladium in any form. New, Old and Broken Jewelry, Coins, Dental, Bars, Nuggets, Sterling Silver Flatware, and Platinum Lab Equipment. We Purchase All World Gold Coins and try to Pay You the Highest possible prices. We pay more than gold for older USA, and Canadian Coins. We Buy all Canada and USA Junk Silver Coins. Canada 1966 and earlier, 1967, and 1968. Montreal & Calgary Olympic Coins, and Sets. USA 1964 and earlier, Silver Dollars etc. We buy all Canadian, USA, Foreign Coins and Bank Notes. We will quote you both our buy and sell prices. Call us today for a FREE estimate on your items. Phone, or email us a description of the items that you are sending for our free appraisal. We will inform you of the best method to send your material safely and fully insured. 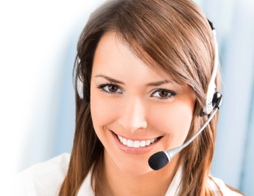 You may call us toll-free: 1 (877) 338-2470 or if you are located in British Columbia please call: (604) 629-8918. Once we receive your package one of our specialists will test, weigh, and appraise your items, and then contact you with an offer to purchase. If you send older coins, and/or paper money, they will be expertly graded, and appraised. We will contact you with our offer to purchase in a timely manner. If you are not 100% Satisfied with our offer we will return your items free of charge, otherwise we will process payment and send you a cheque for the quoted amount the same day. Our prices are LIVE, updated every 5 minutes, these are actual prices you will receive. We also buy All Gold and Silver Coins, Paper Money, Watches, Collectables and More.. Click Here for More Prices! Our buyer's have more than 40 years of experience, and are professional appraisers. We have dealt with tens of thousands of customers in Vancouver alone since 1972. Companies that sponsor "GOLD PARTIES", have "BONUS COUPONS" or offer "GOLD KITS" and "GOLD PACKS" by mail, will discount the value of your Gold as much as 40% or more. You will be receiving some of the lowest prices in the industry. Why sell your gold for less? We Buy.. Gold Jewelry, Indian gold, Asian Gold, Rare Coins & Paper Money, Dental Gold, Gold & Silver Bars, Platinum, Gold & Silver Coins, Placer Gold & Gold Nuggets, Gold Watches, Sterling Silver, and more! Copyright (c) 2012 GOLDCALGARY.CA. All rights reserved. Gold Vancouver is a registered trademark.